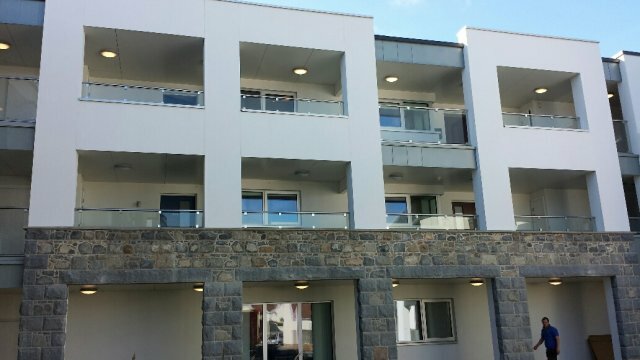 This striking modern building is a brand new Care Home called La Maritaine on the island of Guernsey. The project utilises Clear Toughened Laminate glass for all the Balustrades and the staircases in 17.5mm and 21.5mm, along with Toughened Laminate privacy screens , which use W65 translucent interlayer to provide both strength and privacy benefits. 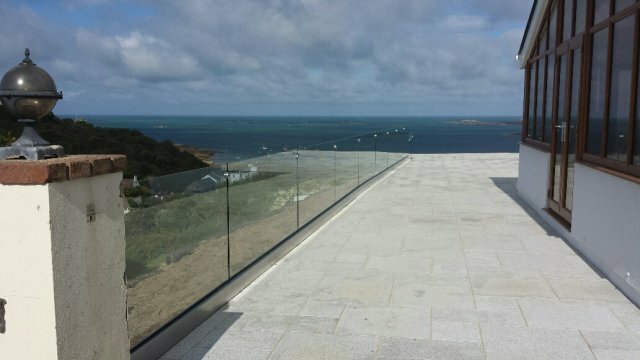 A second recent project on Guernsey, a private house built on the coast, benefits from glass balustrading in 21.5mm Clear Toughened Laminate. The glass was specified to give an uninterrupted view of the beautiful scenery. The glass runs from the front of the house and then ‘falls’ away to a lower patio area down a flight of steps. 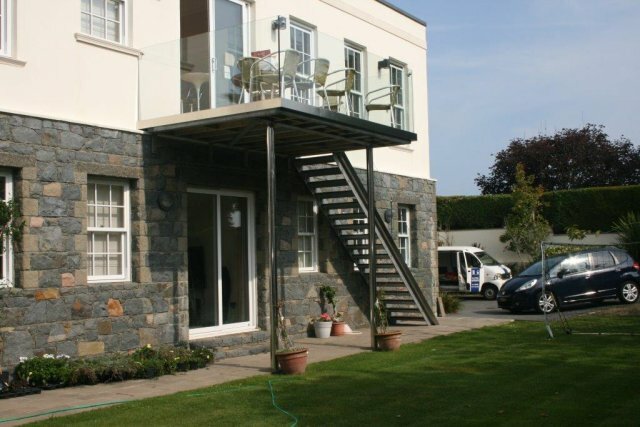 A further project comprised of glazing for a small patio balcony area for a residential home. The glass used was 17.5mm Clear Toughened, to provide an al fresco seating area as an extension to the outdoor space on an existing property.